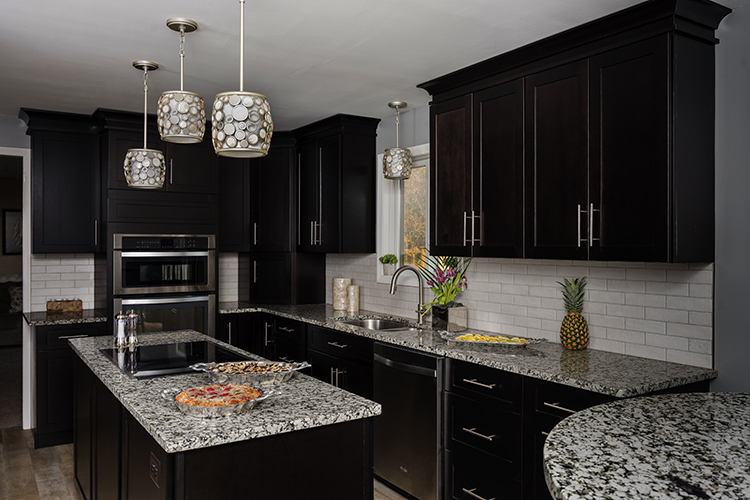 It should come as no surprise that dark cabinets are taking over kitchens across the nation. What do we mean by "dark?" Black, deep browns and deep grays. These colors are continuing to gain popularity, slowly replacing the previous all-white kitchen movement. Don't get upset if you just gave your kitchen a makeover with lighter vibes. White cabinets are still having a moment, but so are there contrasting partners. 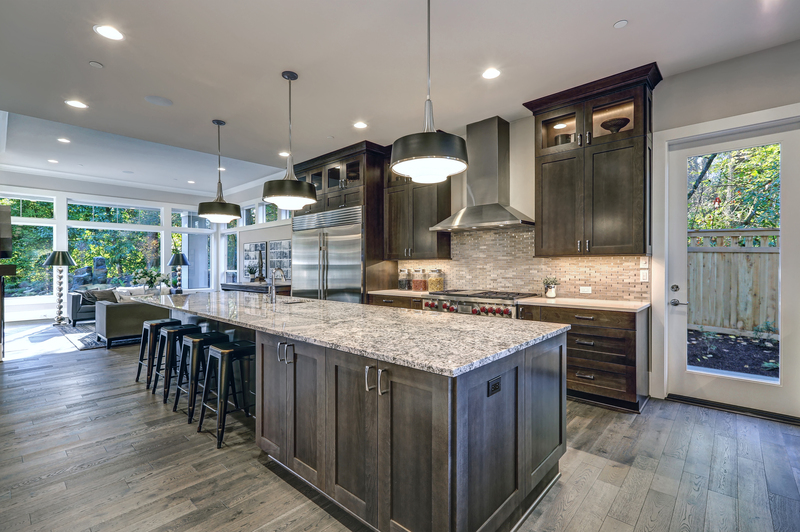 So, whether you're looking to give your kitchen a modern update, or building your dream kitchen from scratch, you should consider the following ideas. 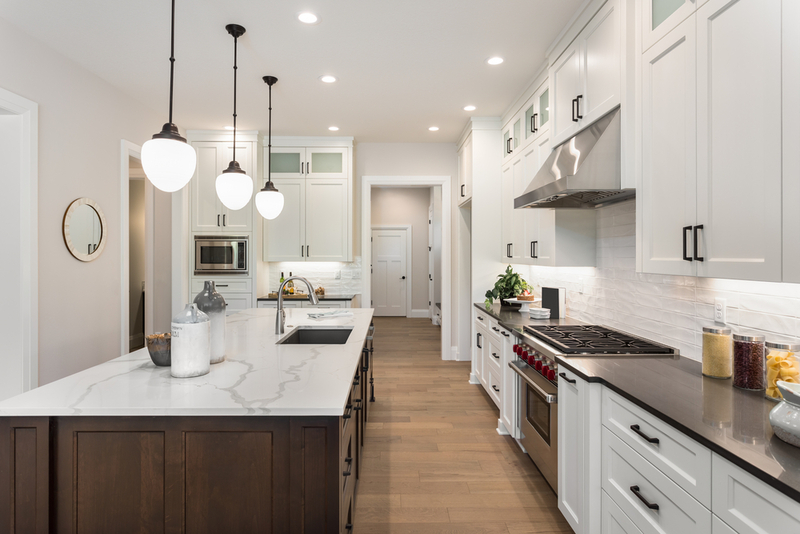 After years of white and wood-tone color schemes dominating the market, homeowners are beginning to add more color to their kitchens. While the majority of people are still gravitating towards neutral colored kitchens, it seems to us that consumers are readily adopting a mixed color palette in their homes. Hey, we're not mad about it! After all, dark colors create a high-end allure that many desire. This is especially true if you opt for a cheaper backsplash or very plain lighting. We know that incorporating dark shades is a bold decision, though. That's why you don't have to take the plunge all at once. Perhaps you don't want all your cabinets to be so bold. There's nothing wrong with choosing a lighter color for your lower cabinets, and a darker color for your upper cabinets. A deep colored island with an otherwise light-colored kitchen is also stunning. Contrast is key! Want dark cabinets in your kitchen? Some of our favorites include: Onyx Cobblestone, Galaxy Cobblestone and Galaxy Espresso.